Internal Revenue Service (IRS) Form 1099 is a key federal tax reporting document. Banks, brokerage firms and mutual fund companies are among the financial services firms that use Form 1099 to report income received by their clients, such as dividends and interest. Since tax year 2011, Form 1099 also reports clients' capital gains income from securities sales, in cases where the brokerage firm can confirm the tax basis (i.e., adjusted purchase price) thereof. In prior years, just the total proceeds from sales were included. Banks and mutual fund companies typically issue Form 1099 to clients by mid-January, but brokerage firms normally take until a mid-February deadline for them set by law. However, this deadline is largely illusory, since brokerage firms are not required to ensure that each Form 1099 that they issue is final and completely correct by this time. 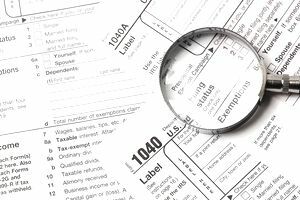 Instead, it is commonplace for brokerage firms to revise a client's Form 1099 one or more time times in the same tax season, even after April 15, causing difficulties for both clients and tax preparers in completing their income tax returns. Brokerage firms typically claim that 1099 revisions are caused by revised data feeds from the issuers of the securities on which they are reporting, or from mutual funds held in their clients' brokerage accounts. However, as noted above, mutual fund companies typically issue Form 1099 a full month earlier, and rarely with any revisions, despite holding securities from the same issuers. Moreover, the new requirement that brokerage firms report capital gains (and losses) on Form 1099 has not been implemented fully. Gain and loss data on all securities purchased through the same firm theoretically should be reported on Form 1099, but often is not. Brokerage firms' problems with timely issuance of correct and final Forms 1099 are an example of how financial advisors and their sales assistants are not in control of all the factors that influence client satisfaction. Instead, they are highly dependent on the quality of service provided by other functional areas in their firms, such as brokerage operations or information technology.